Eden is celebrating the opening of it's second store in Rotherham on Effingham Street. We are based in the heart of the town centre opposite Boots, giving the people of Rotherham even more choice and convenience. Whichever store (Town Centre or Stag) is more convenient for you, the one thing that will remain the same is the warm, friendly help and advice along with the highest levels of specialist service and choice in Rotherham. Why not pop into the store and experience first hand the excellent, fully working stairlift demonstration unit, the magnificent new 'Zodiac' Range of Rise & Recline Chairs, the unique Eden Scooter Range, powerchairs, bathing aids, walking aids and much much more. Eden Mobility in Rotherham on Effingham Street have a selection of mobility scooters available for purchase. Come and view our full range for yourself today. 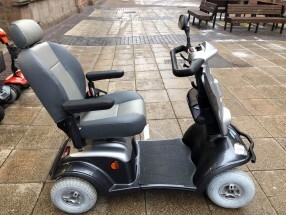 Come and take a visit to Eden Mobility in Rotherham which is located on Effingham Street to view our huge range of powerchairs that are available for purchase. 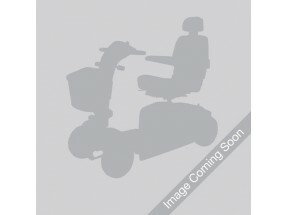 We have an excellent selection of high quality rise and recline chairs available at Eden Mobility. Come and see us at our store on Effingham Street in Rotherham, today. High quality, durable straight and curved stairlifts are available for supply and installation from Eden Mobility. Come down to our store on Effingham Street today to get a free, live demonstration. If you are interested in purchasing a wheelchair then come down to Effingham Street today and see our full selection that are available.